Along with the HTC 7 Mozart, the Samsung Omnia 7 has been released in the United Kingdom. Released on October 21, the Samsung Omnia is among the first ever Windows Phone 7 handsets to be released in the world. The Samsung Omnia 7 is an evolution of the Samsung Omnia HD, and the latest of the Omnia family from Samsung. While the Android platform seems to be the powerhouse behind the Samsung Galaxy S series, the Omnia name seems to be the name that Samsung has chosen to champion Windows phone 7. Packing some serious hardware with a 1 GHz processor and Windows Phone 7, it seems as though Samsung is ready to pounce forward with the latest technology. To differentiate itself, the Omnia 7 has pulled out their main trick, a Super AMOLED screen as the display. The Samsung Omnia 7 uses the familiar candy bar design with a beautiful 4 inch Super AMOLED display. Samsung is very familiar with Super AMOLED technology, introducing it on their line up for the Samsung Galaxy S series of phones. The Super AMOLED really makes colors pop and shine, and gives a wider viewing angle than the HTC 7 Mozart that was released with the Omnia 7. The 4 inch screen is also not a stranger to Samsung phones, being offered on phones such as the Samsung Captivate and the Epic 4G. Below the four inch Super AMOLED display is the familiar 3 button layout that every Windows Phone 7 handset is set to use. The back and search buttons are touch sensitive while the Start button is a physical button, nestled in the center. The right side has the dedicated camera button and the power / lock button. Residing opposite, on the left side is the volume rocker. The top has the ever familiar 3.5 mm headphone jack and microUSB with a sliding cover. Residing behind the display is a 5 megapixel camera and an LED flash. Overall, the design is very much the spitting image of the Galaxy S series of handsets. The only main difference is that the Samsung Omnia 7 has a bit more of a boxy style rather than the curved design that the Galaxy S series seems to display. The Samsung Omnia 7 truly delivers on the hardware front, offering a 1 GHz Qualcomm processor, similar to pretty much every competitor in the market right now. Applications ran smoothly on the Omnia 7 and the new tile design offered by Windows Phone 7 worked flawlessly with no lag. Transitions from screen to screen were very much real time and seemed very stable. 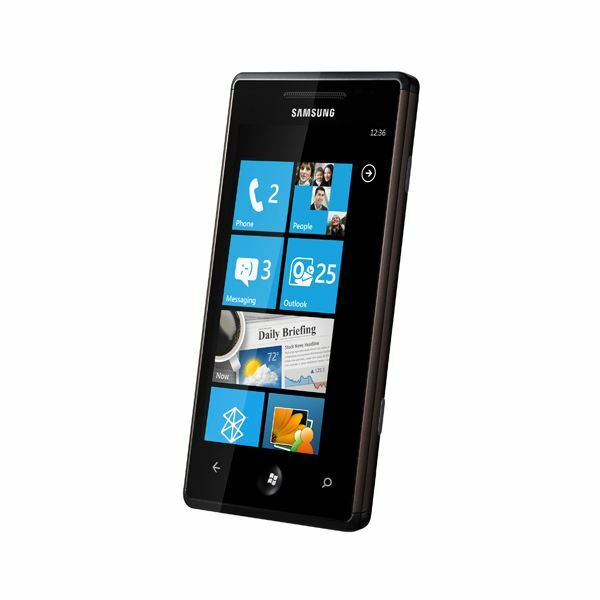 The Samsung Omnia 7 is among the first ever smartphones to be released with Windows Phone 7. 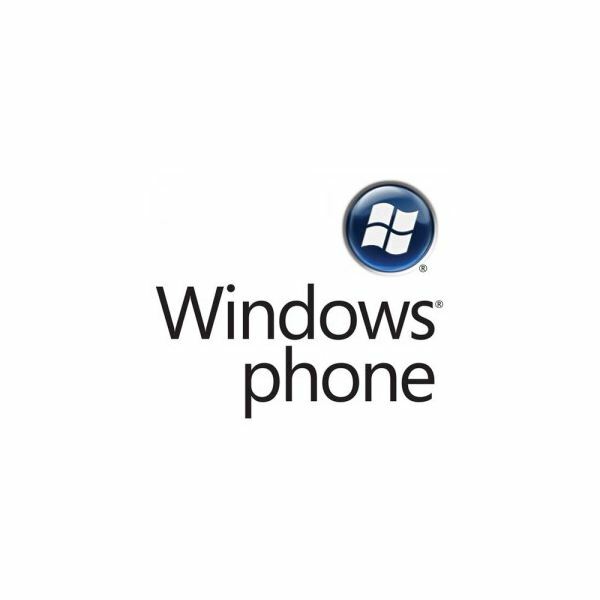 Windows Phone 7 is definitely different from the other operating systems currently out there such as WebOS, iOS, Symbian or Android. Windows Phone 7 has taken a different approach, straying away from home screens with icons and instead using what are called tiles. These tiles are a cross between widgets and icons. They can act as portals and they can display real time information all in one touchable tile. he phone also never displayed signs of lagging, meaning Windows Phone 7 must be designed fairly well. No random crashes or force closes on the current tiles and applications though as time goes on, that can possibly change. Microsoft made a bit of a mistake, hammering down an iron fist on customizablity. There are no skinnable interfaces for Windows Phone 7, meaning what you have is what you get. Unlike Android, you can’t download another skin or another loader to help customize your phone. Instead, you’re left with the tiles or you can use applications such as the HTC Hub to get somewhat of an older feel, with the time and date display along with a list of applications underneath. Orange also offers a custom array of applications, Orange Wednesdays, Orange Weather and Orange Maps that act as exclusive orange tiles on the phone. Windows Phone 7 is a different beast of an operating system than the current existing generation. Apple has iOS, Google has Android, Palm has Web OS, Samsung has Bada and Nokia has Symbian, all of them unique in their displays and code but they do all have a similar idea behind them. A main home screen, shortcuts to applications, icons, widgets, and the like. They share common characteristics that sometimes make them seem as though they’re blending in. Windows Phone 7 running on the Samsung Omnia 7 takes a different approach. The aforementioned tiles act as widgets and icons at the same time. They’re large enough to read, touch and move, and most of all, they’re different. These tiles bring you a lot of information without overloading your senses. Similar to Microsoft’s advertising approach with Bing, these tiles give you what you want to know without shoving it in your face. Coupled with the powerful hardware on the Samsung Omnia 7, these tiles really come alive. The tiles tilt slightly when you touch them, giving you the feedback you need to show that you actually pressed the tile as if it were physically there. Overall Windows Phone 7 is very user intuitive and easy to pick up, even for a new operating system. The Samsung Omnia 7 has a 5 megapixel camera with LED flash. The camera takes fairly high quality pictures and the video recording is a fantastic addition. The only downside is that the Samsung Omnia 7 only has 8 GB of internal storage and no expandable microSD slot. Though 8 GB is a great deal of space on such a compact device, once you start filming with the Omnia 7, and downloading additional applications, games and images, you’ll eat through the 8 GB in no time. Quite a bit of a let down and one has to wonder why an expandable microSD slot was not added onto the European release. Microsoft has done a fantastic job upgrading the Internet Explorer and it runs smoothly and fast on the Samsung Omnia 7. There were only a few kinks with the browser, the main pain being the fact that there was no address bar in landscape mode. The Samsung Omnia 7 had to be flipped to portrait mode to get the address bar back. Not too much of a pain, considering how snappy the Samsung Omnia 7 responds, but still a fault nonetheless. 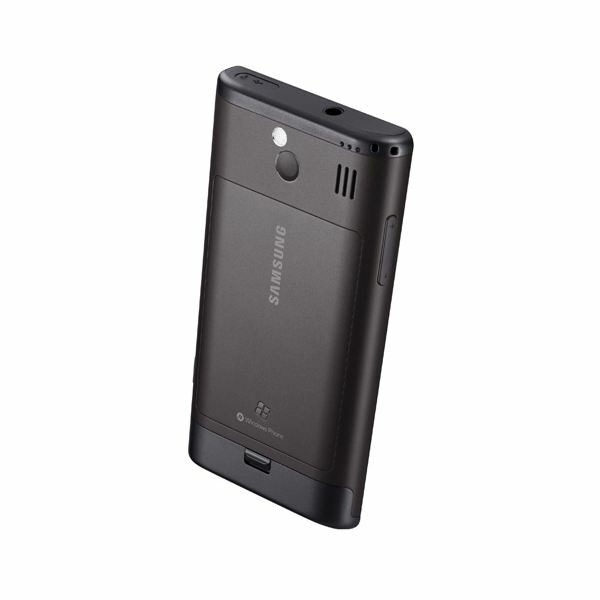 Another great feature that comes with Windows Phone 7 is the fact that the Samsung Omnia 7 can very much be used as a business phone. Blackberries have long held the title of being the corporate smartphone, but the Samsung Omnia 7 may have the capabilities to slowly overtake that title. With Windows Phone 7, comes SharePoint integration for the Omnia 7, as well as Exchange support, and Office support. This integration exists on other operating systems but maybe due to the fact that Windows Phone 7 is a Microsoft product, everything seems to come together more simply on the Samsung Omnia 7. The Samsung Omnia 7 is a solid phone and though it has an excellent choice of hardware and software, there are little problems that really stop the Omnia 7 from being ranked ‘Excellent.’ The main reason being Microsoft’s disabling of customizable skins. In today’s world of individuality, many people want to customize their screens, install new launchers and really make their phone theirs. Microsoft has disallowed that from happening and may have hampered the success of the Samsung Omnia 7. With the forcing of a 3 button layout and disallowing of custom skins, one has to wonder what the future holds for Windows Phone 7 handsets. Between the currently released Samsung Omnia 7 and the HTC 7 Mozart, the only difference is the design of the exterior. How different can a handset really become if it is limited not only in the way the hardware is made but also how the operating system will be run? The future of Windows Phone 7 is uncertain, but the Samsung Omnia 7 has done a fantastic job of being a smartphone that can capture a large audience.